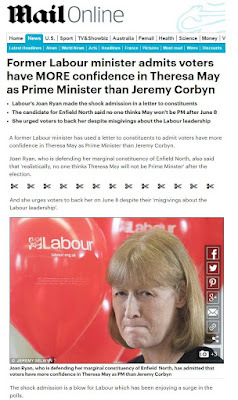 “I know from speaking to people around here that many who have previously voted Labour are thinking hard this time because, they tell me, they have more confidence in Theresa May as prime minister than they would have in Jeremy Corbyn. The latest effort to restart the false 'anti-Semitism' campaign is an Early Day Motion, in essence a parliamentary petition which MPs sign, as an indication for the support a topic has. John Mann has put a second EDM down this year supporting the International Holocaust Definition of anti-Semitism. The IHRA, which is essentially the same as the old Working Definition on Anti-Semitism that the European Union's Fundamental Rights Agency junked 4 years, has just been rejected by the University Colleges Union (UCU). 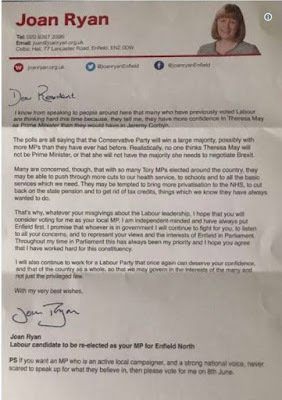 Whereas some on the Right, like Owen Smith, have accepted that they were wrong and are apparently reformed sinners, others such as John Mann, Ryan, Streeting and Woodcock are determined to continue the fight against Corbyn and the Left. For them, the main enemy is Corbyn not the Conservatives. 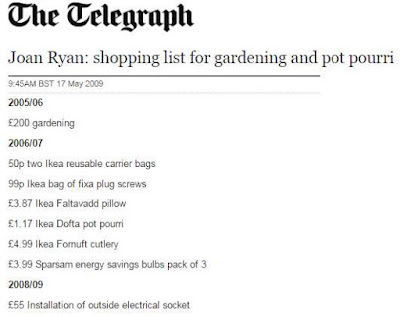 Ryan and Mann’s priorities are stopping Corbyn not achieving a Labour government. After all no one is more supportive of Israel than Theresa May. She is the lesser evil. 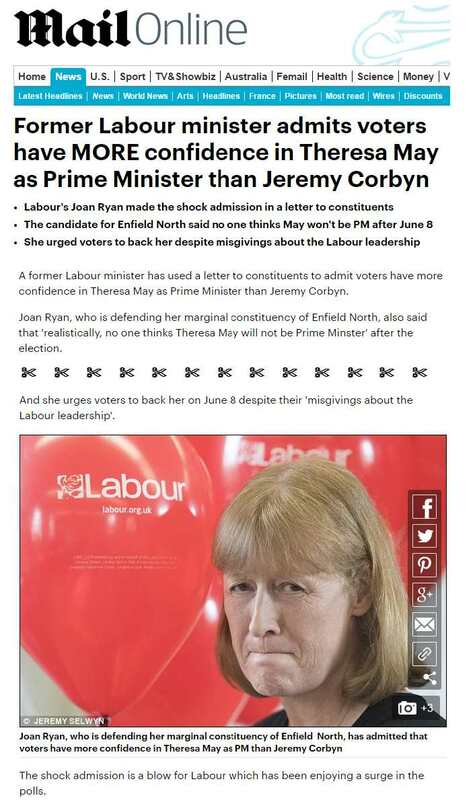 Mann campaigned furiously in the summer of 2015 to have the ballot called off when it appeared that Corbyn would win the leadership. 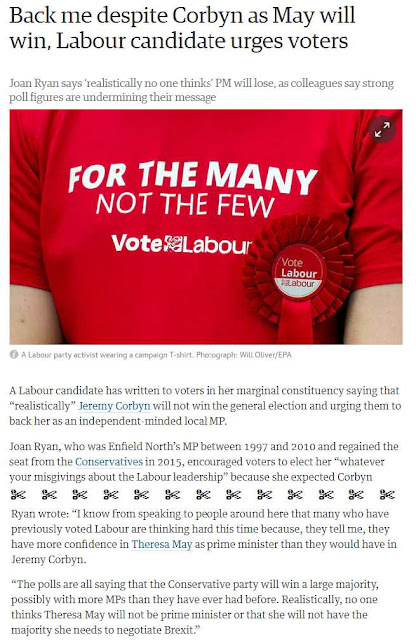 A rekindling of the false ‘anti-Semitism’ campaign is seen by Mann, Ryan and co. as the best way of undermining Corbyn. Mann last year stage managed an attack on Ken Livingstone in conjunction with the Murdoch media for speaking the truth when he said that the Nazis had supported Zionism. 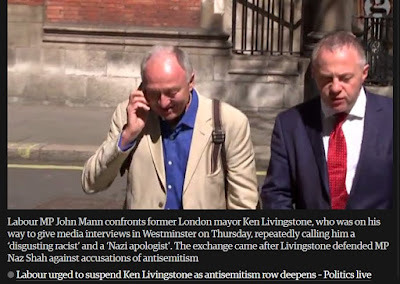 Mann as Chair of the Parliamentary Committee on Anti-Semitism has fought a long- campaign alleging that the Labour Party is overrun with ‘anti-Semitism’ and pillorying Corbyn for not rooting out fake ‘anti-Semitism’. He has called for both myself and Jackie Walker to be expelled. 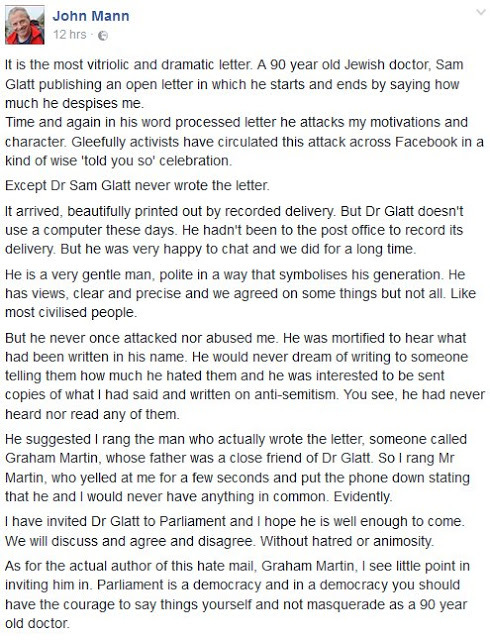 Mann has fought tirelessly to conflate criticism of the Israeli state with ‘anti-Semitism’. That is why he supports the International Holocaust Remembrance Alliance definition of anti-Semitism. It contains a short, confusing and ambiguous definition of anti-Semitism and then 11 examples which might be anti-Semitic, 7 of which relate to Israel. Despite stating explicitly that it is a ‘non-legal definition’ the IHRA has been used to attack free speech, Israel Apartheid week and Palestine events up and down the country. ‘a protean definition of anti-semitism which is open to manipulation and capture by the background interests I have mentioned. In this regard I would go rather further than Hugh Tomlinson does in his careful and well-reasoned Opinion. The governing proposition that antisemitism is “a certain perception of Jews, which may be expressed as hatred towards Jews” carries the clear implication that it may equally be expressed in other, unspecified, ways. As Hugh Tomlinson says, this passage is vague and confusing; but I am not sure that the critique should stop there. It seems to me that its open-ended formulation has a thought-out purpose: to bring within the pale of antisemitism perceptions of Jews — possibly but not necessarily of all Jews — which fall short of hatred. While this may legitimately cover familiar antisemitic slanders about greed, clannishness and so forth, it is also capable of embracing perceptions of Zionism which are the subject of legitimate debate and disagreement. That this is part of the intended reach is now becoming evident. One of the adopted examples is “Denying the Jewish people their right to self-determination, e.g. by claiming that the existence of the State of Israel is a racist endeavour.” This passage bristles with controversial assumptions. Is there a single entity capable of being characterised as “the Jewish people”? Am I obliged to regard myself as bound by ethnicity to people like Benjamin Netanyahu? Then, assuming that there is such an ethnic entity, from where does it derive a collective right to self-determination capable of defeating the right to self-determination of other peoples, above all the Palestinian people? There have been many Jews — my father was one — who long before 1947 opposed the Zionist project on the ground that Jewish exceptionalism was exactly what antisemitism needed. The IHRA definition has but one purpose. By defining anti-Semitism as loosely and vaguely as possible, it can brand virtually all opposition to Zionism and Israel as ‘anti-Semitic’. The IHRA definition of anti-Semitism is over 420 words because it needs to be lengthy in order to conflate anti-Zionism and anti-Semitism. There is a much shorter, 21 word definition drawn up by Brian Klug in his lecture to the Jewish Museum in Berlin 'What Do We Mean When We Say ‘Antisemitsm’? Echoes of shattering glass' in November 2014. Klug is a lecturer at Oxford University and an academic expert in anti-Semitism. The problem for the Zionists is that it doesn't mention Israel. The IHRA is a group of 31 countries who have adopted a definition of ‘anti-Semitism’ which accords with western support for Israel. It is an imperialist definition of ‘anti-Semitism’ and has nothing whatsoever to do with hatred of Jewish people. Amongst these 31 countries is Hungary, whose Prime Minister Victor Orban is a racist whose attitude to refugees needs no elaborating. Orban is set on rehabilitating Admiral Horthy who presided over the deportation of nearly ½m Jews to Auschwitz from March 19th to July 9th 1944. [The Reinterment and Political Rehabilitation of Miklós Horthy, Randolph Braham]. Like the anti-Semites in Trump’s administration, Orban is ardently pro-Zionist. Another member state of the IHRA is Poland whose Law & Justice party government is sympathetic to anti-Semitism. Theresa May’s government has warmly welcomed the IHRA definition of anti-Semitism, yet the Tory Party is part of the European Conservative and Reform group in the European parliament. This group includes Poland’s Law & Justice Party as well as Latvia’s Robert Zile of the Fatherland & Freedom/LNNK. Zile spends every March going on a demonstration with the veterans of the Latvian Waffen SS who participated in the extermination of Latvia’s Jews. The IHRA is an inter-governmental definition of anti-Semitism whose purpose is to brand opponents of Israel as ‘anti-Semitic’. It has nothing to do with the traditional understanding of anti-Semitism as hatred or hostility to Jews. In January John Mann, who I exposed on this blog as a liar for denigrating a 90 year old Jewish doctor who had criticised him, put down an EDM supporting the IHRA definition of ‘anti-Semitism’. 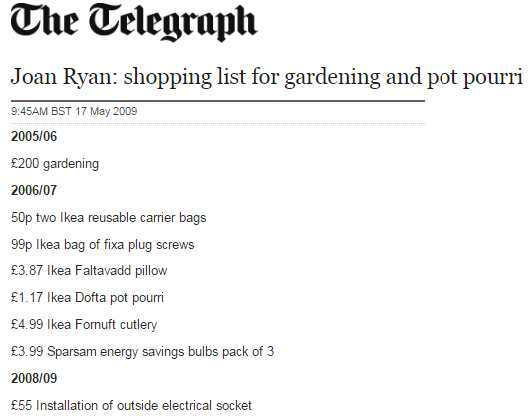 Mann is now up to his old tricks again and has proposed the following EDM. I suggest that people write to their MP and also those MPs who signed the EDM last time, urging them not to sign it this time. It would be a waste of time emailing the DUP MPs as they are all Christian Zionist bigots. Caroline Lucas has already stated that she no longer supports the IHRA. This is the EDM that Mann put down on 21st June. So far it has one signatory. That this House welcomes the adoption of a formal definition of anti-Semitism by the Government in response to the work of the International Holocaust Remembrance Alliance (IHRA); further welcomes the agreed cross-party support for the definition, including from the Leader of the Opposition and hon. members of all political parties represented in the House in the previous Parliament; congratulates the IHRA and its 31 member countries for adopting the definition; notes that the definition has been officially adopted by the Government, the Labour Party, the UK Police College, the Crown Prosecution Service, the National Union of Students, Universities UK, the London Assembly, the Greater Manchester Combined Authority and a number of local councils; welcomes the Government's update report on anti-Semitism, including progress made in ensuring wider adoption of the definition; and calls on all other political parties, universities, councils and other public bodies and organisations to continue to adopt the definition and use it to better understand and act against anti-Jewish hatred. 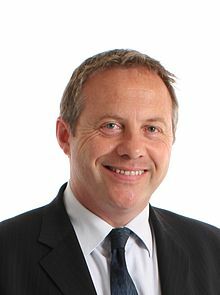 I am writing to you because you were one of 59 MPs who supported an Early Day Motion, sponsored by John Mann, in January 2017 welcoming the International Holocaust Remembrance Alliance definition of anti-Semitism. Mann has put down a new EDM on the same topic. The IHRA conflates anti-Zionism and anti-Semitism. If you are genuinely opposed to anti-Semitism then accusing people who are not racists of anti-Semitism is the best way of giving succour and support to genuine anti-Semites. That is one reason why the Christian bigots of the DUP have all signed up to it. The accusation that opposition to Zionism, the movement that led to the creation of a ‘Jewish’ state, is anti-Semitic has a long pedigree. This is unsurprising since it is easier to question the motives of Israel’s critics than to defend its policies. The IHRA suggests that it is anti-Semitic to describe Israel as a racist endeavour. How else is one to describe a situation in which Israel rules over 5 million people, who have no civil or political rights and has done so for 50 years? A situation in which those living under occupation co-exist with settlers who have stolen their land and who are subject to an entirely different legal system? Nothing demonstrates the apartheid nature of Israel’s military occupation better than the disparity of treatment between Jewish and Palestinian children. Israeli children cannot be detained under the age of 14. In just one month (March/April) five Palestinian children were killed by Israel’s army. Palestinian children as young as 12 can be detained. There are repeated reports of the use of solitary confinement, shackling and torture of (Palestinian) children. Yet according to the IHRA describing this as apartheid is being ‘anti-Semitic’. Herzog slammed for remark about ‘Arab lovers’. 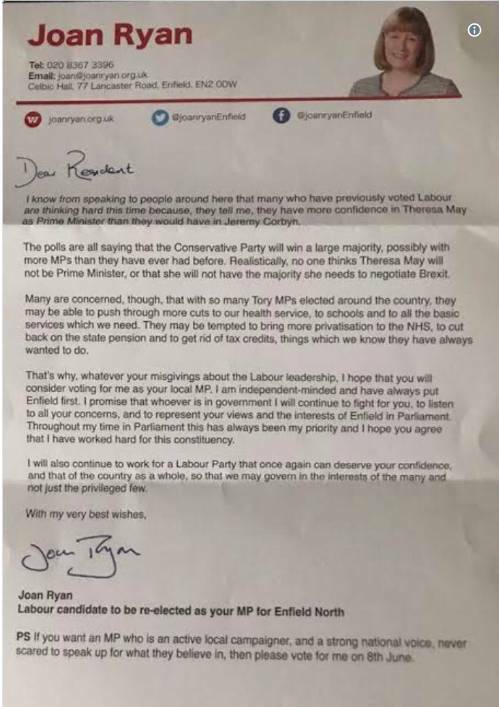 If you doubt that these remarks are racist then what would your reaction be if someone said their nightmare was to wake up and find Britain had a Jewish Prime Minister or that the Labour Party should not be a ‘Jew lovers’ party? Ever since Jeremy Corbyn was elected as leader of the Labour Party there has been a false ‘anti-Semitism’ campaign, waged by LFI and the JLM. In May 2017 Sir Stephen Sedley, the most radical Judge to have sat on the Court of Appeal, and himself Jewish, wrote an article, Defining Anti-Semitism for London Review of Books. Shorn of philosophical and political refinements, anti-Semitism is hostility towards Jews as Jews.... By contrast, criticism (and equally defence) of Israel or of Zionism is not only generally lawful: it is affirmatively protected by law. Endeavours to conflate the two by characterising everything other than anodyne criticism of Israel as anti-Semitic are not new. What is new is the adoption by the UK government (and the Labour Party) of a definition of anti-Semitism which endorses the conflation. The IHRA definition of anti-Semitism gives 11 examples of ‘anti-Semitism’, 7 of which relate to Israel. It is clear that the IHRA’s main concern is with using ‘anti-Semitism’ as a weapon against supporters of the Palestinians not in opposing anti-Semitism per se. It is an attempt to stifle and curb free speech on Israel and Palestine. The International Holocaust Remembrance Alliance is an alliance of 31 countries. It includes for example Hungary, whose Prime Minister is Viktor Orban. Orban is not only an open racist he is seeking to rehabilitate Admiral Horthy who presided over the deportation of nearly ½ million Jews to Auschwitz between March 19th and July 9th 1944. [The Reinterment and Political Rehabilitation of Miklós Horthy, Randolph Braham]. Orban has no difficulty signing up to the IHRA because, like many anti-Semites, he is ardently pro-Zionist. The Law & Justice government of Poland is also riddled with anti-Semitism and it too has no problems with the IHRA. According to the IHRA definition, the above passage is anti-Semitic. Other examples of the pernicious nature of the IHRA include equating anti-Semitism with ‘Applying double standards by requiring of it [Israel] a behavior not expected or demanded of any other democratic nation.’ This assumes that Israel is like any other democratic nation. In which other democratic nation would the village of a minority group be demolished to make way for the majority? In January the Bedouin village of Umm al-Hiran in the Negev was demolished in order to make way for a Jewish town, Hiran. [Opinion Umm al-Hiran: A Cautionary Tale of an Israeli Government Emboldened by Trump]. Umm al Hiran is one of a number of Bedouin villages under threat of demolition because of a policy of Judification of the Negev. Half of Israel’s Arab villages are ‘unrecognised’ which means they are liable to demolition at any time. No Jewish settlement has ever been demolished to make way for an Arab village. Criticism of this is, according to the IHRA, ‘anti-Semitic’. Despite the Negev being a thinly populated desert area, Israel refused to build a Jewish town alongside Umm al-Hiran. Like good colonialists, Israel sought to remove the indigenous population entirely. It is practices such as this which the IHRA is seeking to protect under the rubric of ‘anti-Semitism’. The State of Israel defines itself as a Jewish state. In Europe religious states went out of fashion with the French Revolution in 1789. It is inevitable that those who are not Jewish in Israel are seen as strangers and interlopers. The idea that religion and nationality are coterminous is a backward and reactionary idea. According to the Pew Research Centre’s Report Israel’s Religiously Divided Society a plurality, 48% of Israeli Jews, want the physical expulsion of Israeli Arabs. Israel today is a society which is rapidly moving to the Right. In the past year legislation has been passed allowing for the expulsion of Arab members of the Knesset, a Jewish State Bill which removes Arabic as an official language, a bill barring anyone who supports BDS from Israel and the Muezzin Bill restricting the use of outside speakers by Muslim (but not Jewish) religious institutions. The latest legislative proposals include the banning of all foreign funding of human rights NGO’s such as B’tselem and Breaking the Silence. Those who sign John Mann’s EDM conflating anti-Semitism and anti-Zionism are aligning themselves with Israel’s far Right and its attacks on Israel’s remaining democratic rights. You will be supporting a state where demonstrations chanting ‘Death to the Arabs’ are now commonplace. I hope that you will think seriously about whether or not you wish to add your name to an EDM whose sole purpose is to legitimise Israeli racism under the banner of fighting ‘anti-Semitism’.